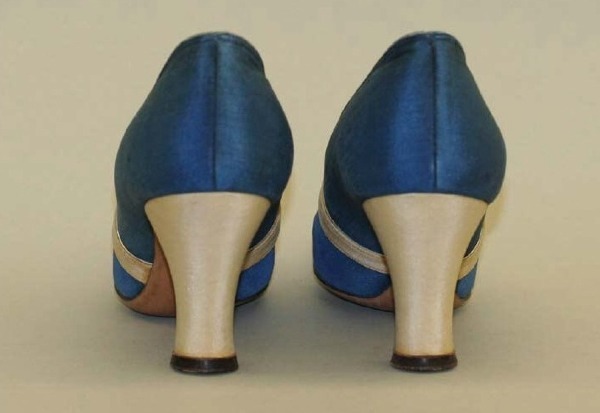 I. Miller: da sinonimo di scarpe americane di alta qualità a nome dimenticato. 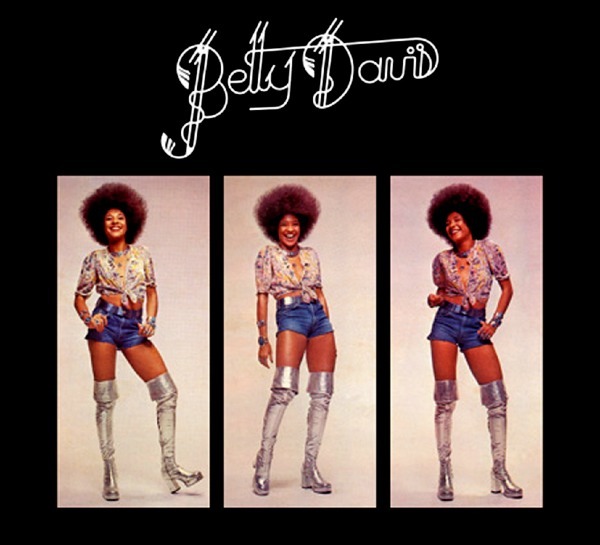 Quando nel 1973 la meravigliosa Betty Davis, nel suo omonimo album d'esordio, celebrava il marchio con "Steppin In Her I. Miller Shoes" la famiglia Miller si preparava ad abbandonare il mercato. É l'inizio della fine: il nome scompare definitivamente agli inizi degli anni '80. 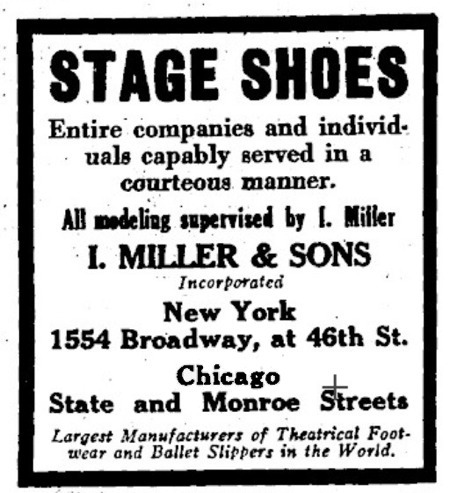 I. Miller: from riches to rags. 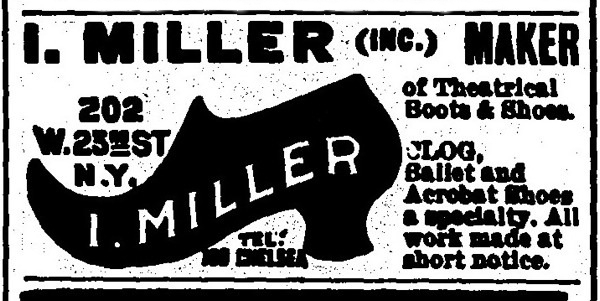 It was an odd coincidence: back in 1973, while Betty Davis sang "Steppin In Her I. Miller Shoes" on her great self-titled debut, the Miller family was already on its way out. 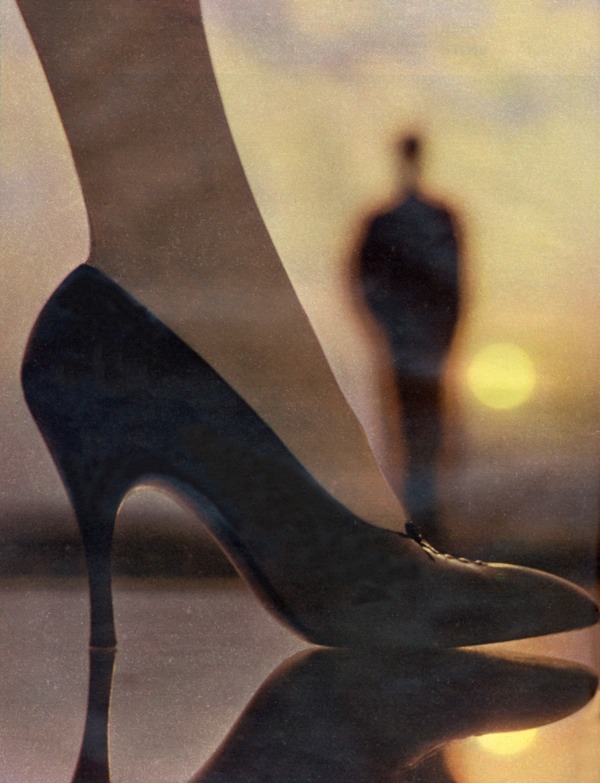 The beginning of the end for a celebrated luxury shoemaker who closed its doors in the mid 80's. Israel Miller nasce in Polonia e si trasferisce a New York (via Parigi) nel 1892 dove impara il mestiere da un calzolaio italiano. 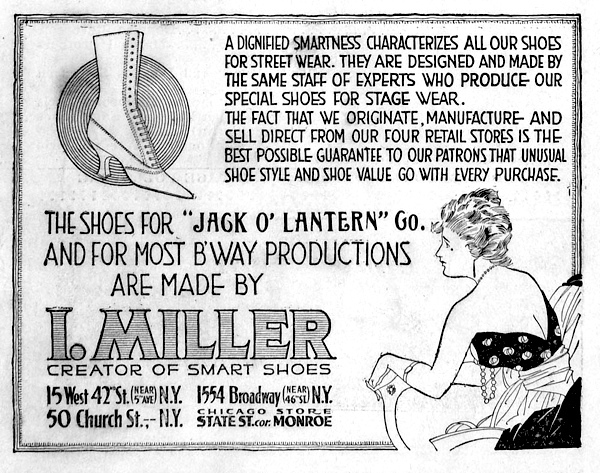 Nel 1901 fonda la "I. Miller Shoe Company" e diventa il Ferragamo americano (prima di Ferragamo) dedicandosi alle calzature per spettacoli teatrali e cinema. 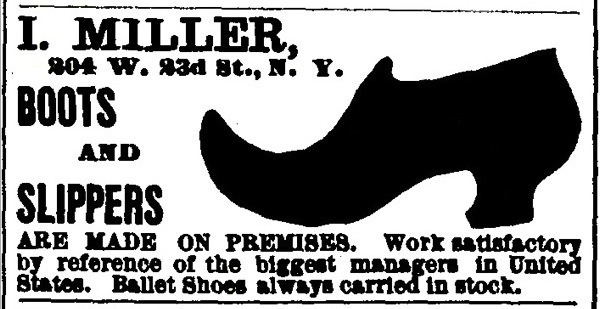 Poland-born Israel Miller went to New York in 1892 - via Paris - and he learned the trade from an Italian shoemaker. 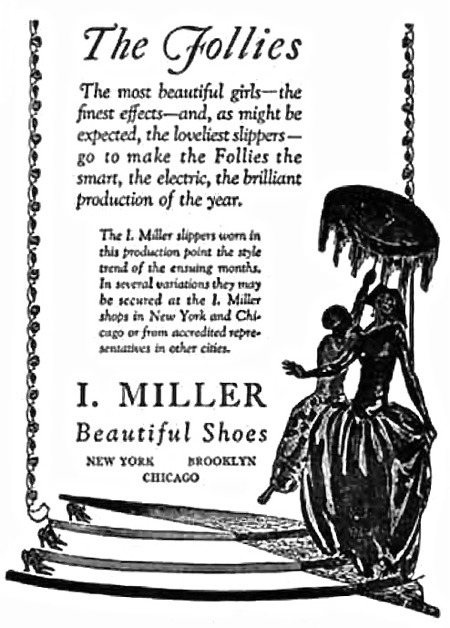 The I. Miller Shoe Company was established in 1901 soon to became the American Ferragamo (before Ferragamo) due to his commitment for the movie industry and the theatrical productions. L'edificio dove aveva sede il suo negozio di rappresentanza é ancora visibile a New York (Quinta Strada all'incrocio con la 46a) con la famosa insegna nella pietra che legge "The Show Folks Shoe Shop Dedicated To Beauty In Footwear". [Qui la storia dell'edificio]. 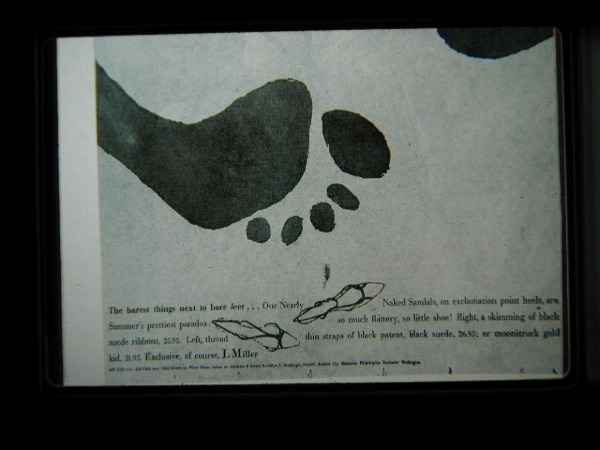 Israel Miller muore a Parigi il 26 agosto 1929 e la gestione passa al figlio George che rilancia il marchio affidando la creazione di modelli a celebrati designer come André Perugia, Beth Levine (These Boots Are Made for Walking) e David Evins. 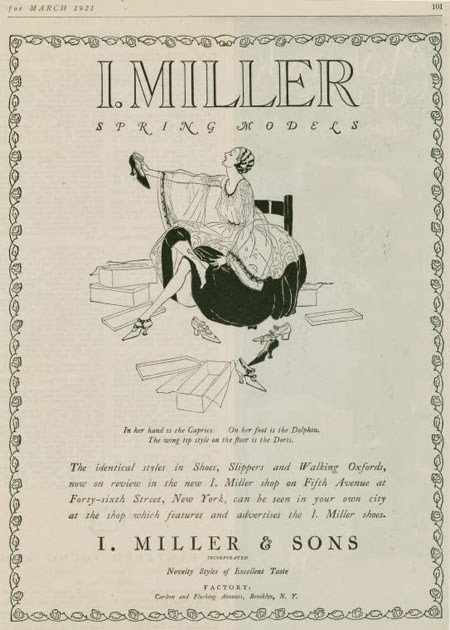 In 1921, Miller took over a building in New York (Fifth Avenue at 46th St.) to make it his flagship store; it's still there today but it missed the official landmark status. Nonetheless, the famous inscription - written in stone - that reads "The Show Folks Shoe Shop Dedicated To Beauty In Footwear" IS a landmark. 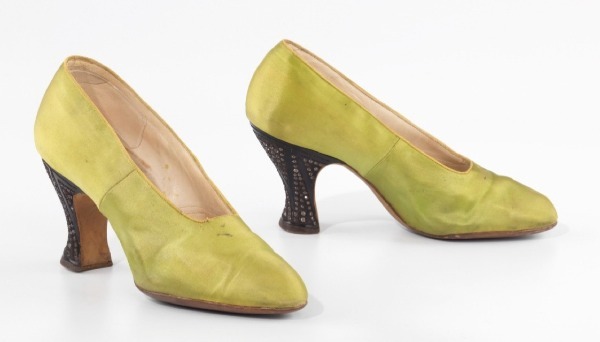 Israel Miller died in Paris (1929) and his son George took over the business relaunching the brand with the help of celebrated designers such as André Perugia, Beth Levine (These Boots Are Made for Walking) and David Evins. Il marchio I. Miller é spesso ricordato per aver dato l'opportunità ad un giovane Andy Warhol (1955) di mostrare il proprio talento come illustratore e vetrinista. 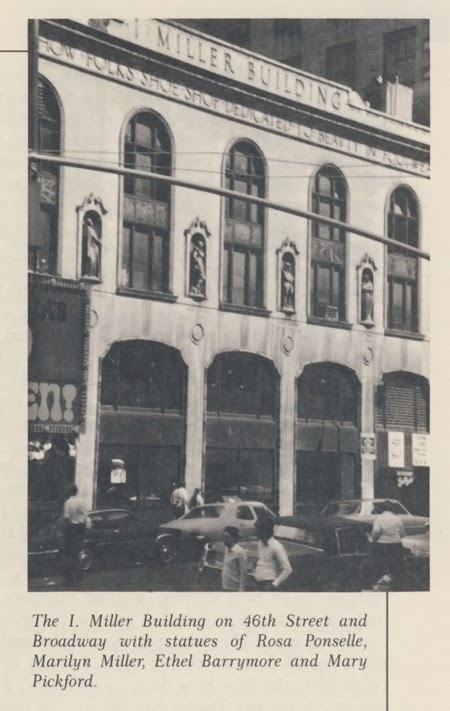 Worth of note is the move to hire in 1955 a young illustrator named Andy Warhol to design advertisements and shop windows. Per vedere le I. Miller oggi é necessario rivolgersi alle vendite online, ma una visita al sito dell'amato Metropolitan Museum Of Art di New York garantisce migliori soddisfazioni. 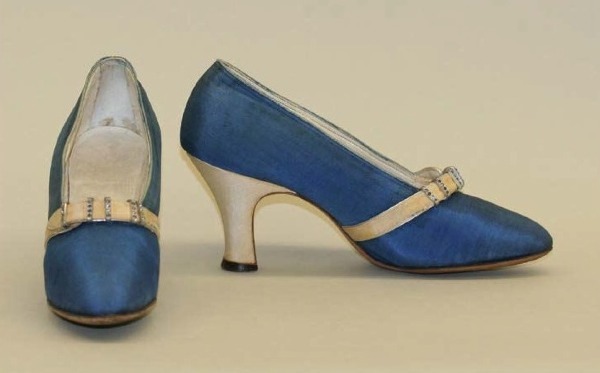 Nella sterminata collezione del museo trovano spazio oltre 20 paia di scarpe, alcune delle quali donate proprio dalla I. Miller nel 1973. 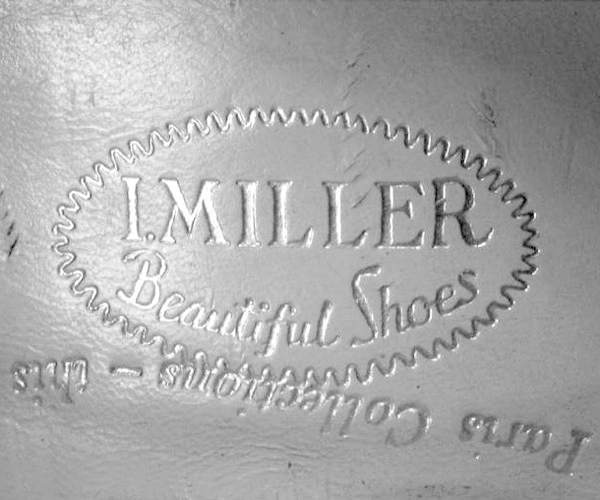 Today I. Millers can be easily found on online sales but a visit to the Metropolitan Museum Of Art website is worth your time: more than 20 pairs of I. Miller shoes are stored, some of them donated by the shoe company in 1973.